Washington’s objective is twofold. First, “officially” it wants to avoid direct military confrontation with Russia as well prevent US casualties. That’s the substance of the official advisory. It is not the main objective. 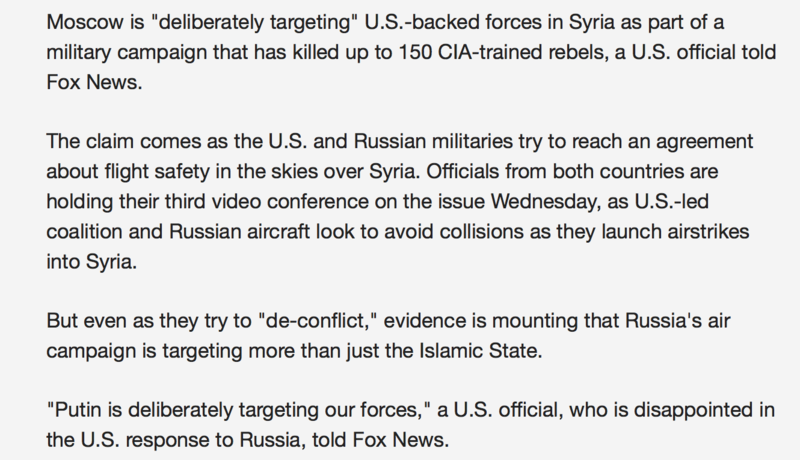 The advisory is tantamount to asking Russia not to bomb the “moderate terrorists” who are supported by US forces. In fact this was the initial position adopted by Washington at the outset of the Russian bombing campaign against the Islamic State in late September 2015. The Obama administration blamed Vladimir Putin of “deliberately targeting US backed forces” in Syria (i.e. moderate terrorists) rather than US Special Forces. Washington’s concern (from a strategic standpoint) is to protect the terrorists’ positions rather than their own forces. 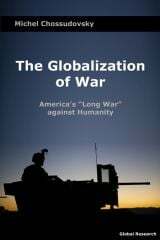 Officially, America now has “boots on the ground” operating within the ranks of various Al Qaeda affiliated “opposition” groups as well as within the ISIS in violation of Syrian sovereignty. The special forces are in permanent liaison with US-NATO. Pentagon press secretary Peter Cook said Russia had honored the request, and stressed the Pentagon only provided broad geographic descriptions of where the US troops are, not their precise location. The Pentagon last year said it was sending about 50 special operations forces to work with anti-IS fighters in Syria though officials have said next to nothing about their whereabouts and progress since. It is worth noting that in mid-January in response to Russia’s airstrikes and the defeat of the US-NATO sponsored terrorist opposition forces, the Pentagon announced a new plan to train up to 7,000 new rebels inside Syria “as part of an effort to secure Turkey’s southern border”. This plan coordinated with Turkey would consist in creating a so-called safe-zone in Northern Syria. (WSJ, January 15, 2016 ). 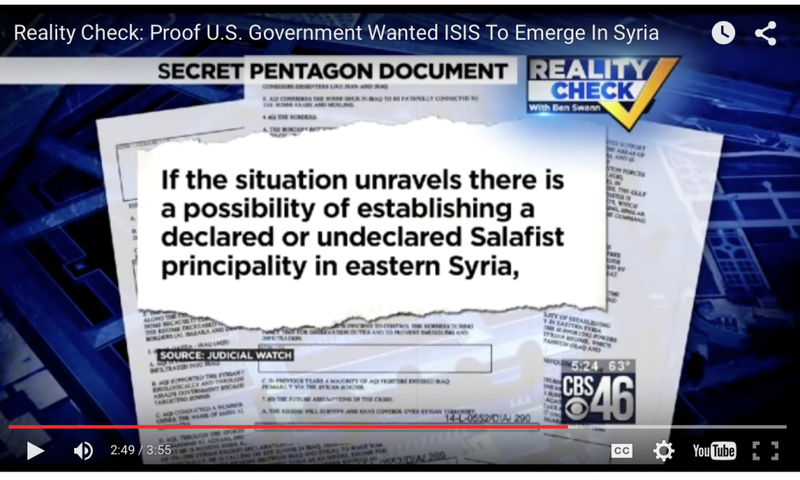 According to a Secret Pentagon document, the ultimate objective “was” to create an Islamic State Caliphate (Salafist Principality) in Northern Syria.